Q. Where is the GIS Center? 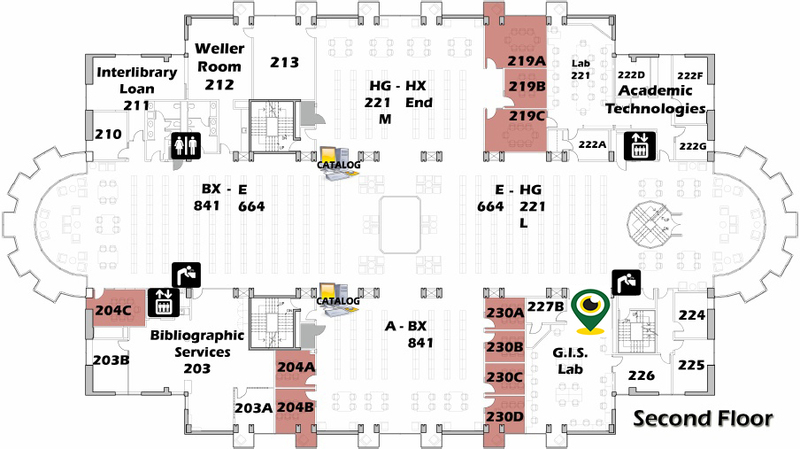 The Geographic Information Center (GIS) Center is located on the Library 2nd floor, Room 227, near the spiral staircase.